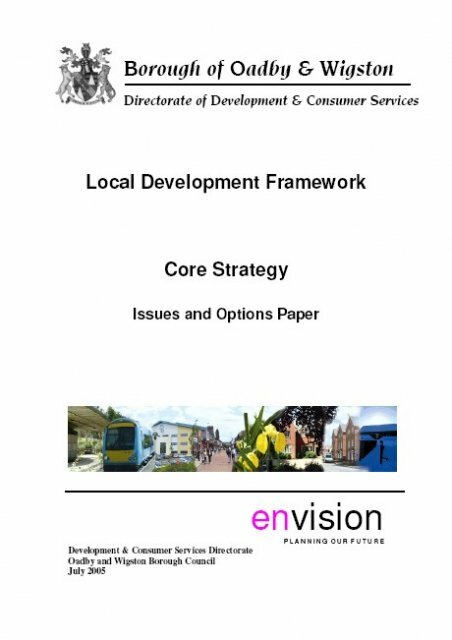 This page gives details on the Core Strategy Issues and Options paper and its consultation period. The Core Strategy is a strategic document setting out the vision, objectives and spatial strategy for the Borough with policies to facilitate sustainable delivery. It will identify the amount of major new development proposed in the Borough up to 2026. What is the Issues and Options Paper? The Issues and Options Paper is the first stage in preparing the Core Strategy. The paper establishes a number of options, together with their advantages and disadvantages and seeks to attain views on which option is the most suitable. As a result of previous consultations on the Core Strategy and advice from the Government Office, the Forward Plans team undertook consultation on a Supplemental Issues and Options Paper which considered choices and broad locations for growth. The supplemental Issues and Options and Paper was on consultation from Friday 29th June 2007 to Friday 10th August 2007.